Blankets of Love | Canberra Quilters Inc.
Blankets of Love is a long-running program of Canberra Quilters, co-ordinated by Joan Porta and Anne Eccleston. Last year 100 quilts were donated to Canberra Hospital and Calvary John James. Joan and Anne want to build up the stocks for this year as the cupboard is nearly bare. This program also runs throughout the rest of Australia, with local quilt groups co-ordinating the effort with the hospitals in their region. 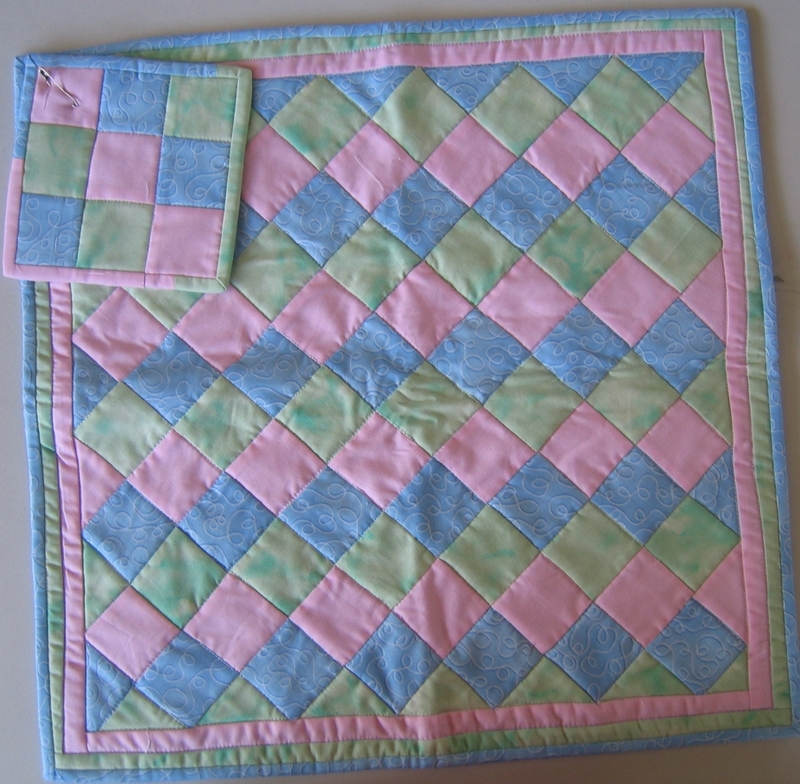 The program donates quilts (about 50-60 cm square) to the maternity wards and neo-natal units of hospitals for use in the case of a still-birth or a death in the neo-natal unit. The baby is wrapped in the quilt. 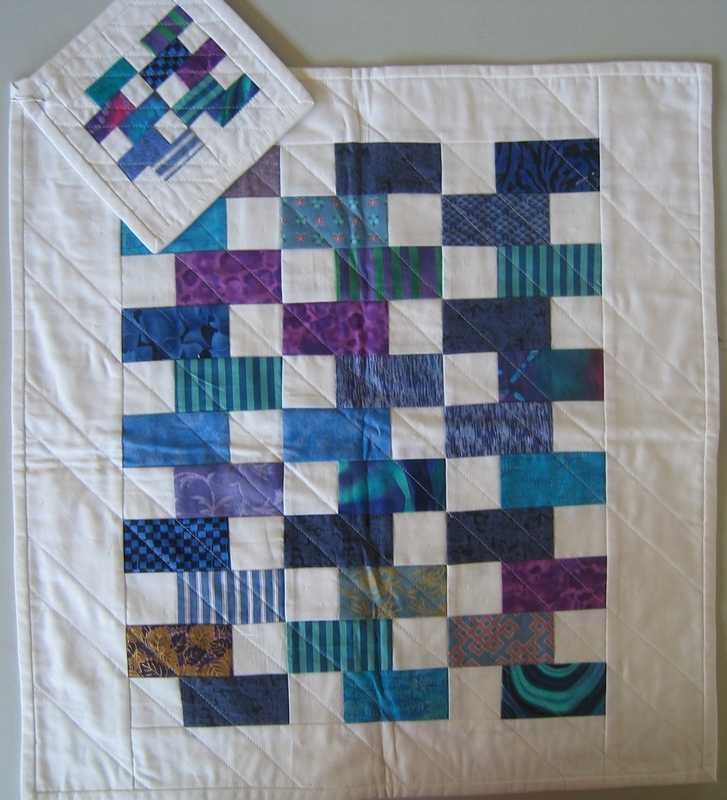 A small postcard-size quilt, replicating the design of the larger quilt is also donated. This is put in a memory box for the parents and is only one of the important keepsakes included in the box. 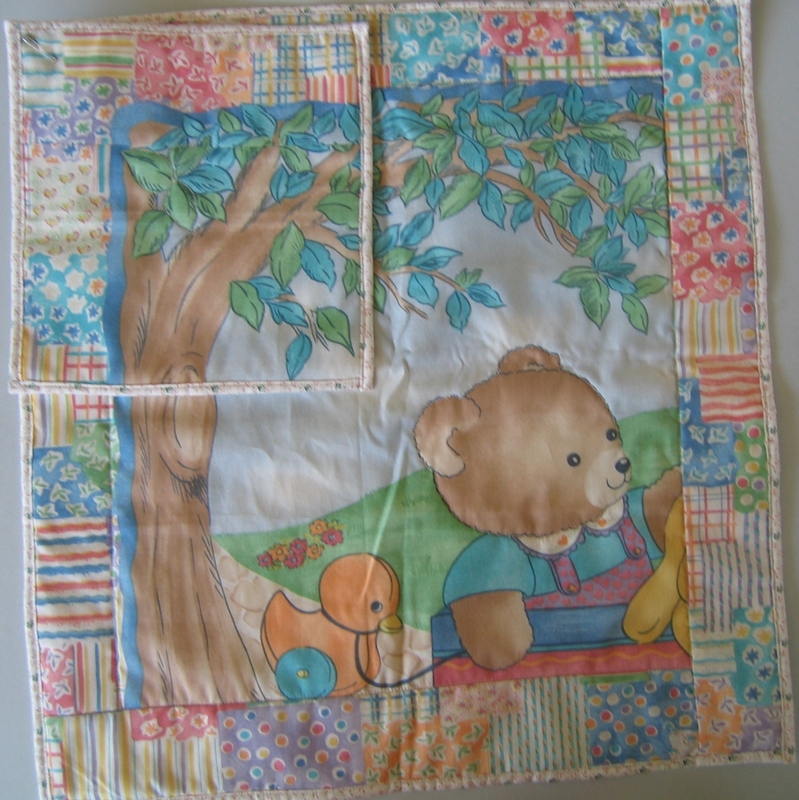 Fabrics: Your choice- nursery prints, pastels, small prints. 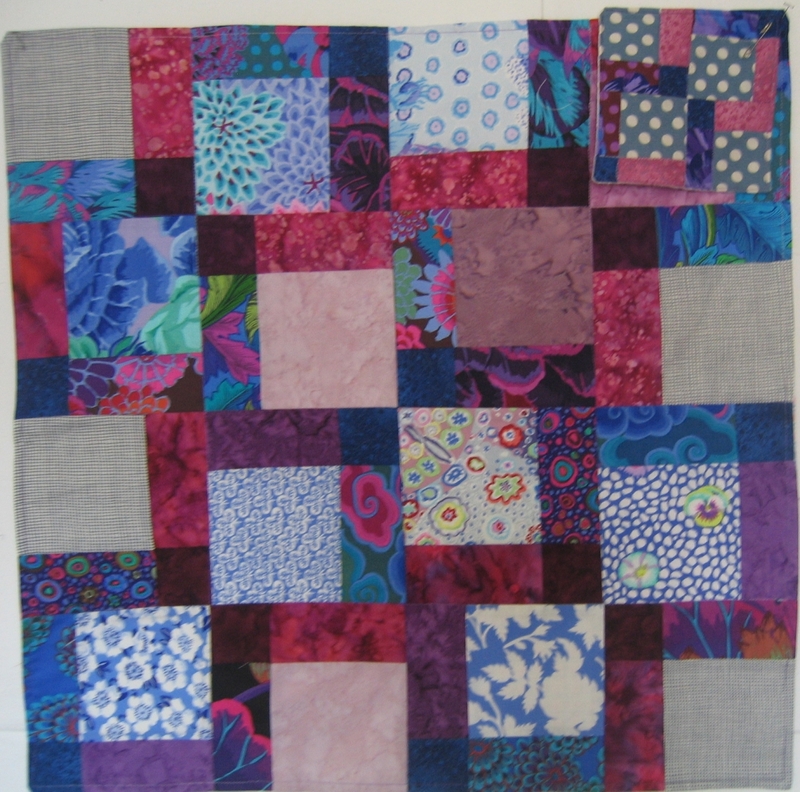 Patchwork-weight cottons or poly-cottons, nothing too heavy like furnishing. Backing: Please use flannelette as it is soft and flexible. Quilting: Minimal or practise some free motion swirls and loops. « Like to meet the members?